Read what people who have attended Magical Baby Moments' classes thought of the hypnobirthing course and instrcutor. I strongly recommend that all parents consider coming to Christine's hypnobirthing classes. They will leave you feeling empowered that you have control of your birthing experience. I really enjoyed the classes and found them hugely beneficial. I feel as though I am already noticeably calmer and more prepared for birth. I particularly enjoyed the informative aspects of the course as I didn't realise how much choice and power I have when it comes to labour. It has taken me some time to get into the scripts, but I am keeping at it and hopefully I will manage to absorb it all. I came to hypnobirthing very afraid of birth and viewed it very much as a medicalised process with lots that can go 'wrong'. Hypnobirthing has helped me trust my own body, intuition and feel confident that relaxation can support a calmer birth. Hypnobirthing is something that people who want a natural and calm birth should do. It is informative and prepares you well for what is to come and helps you to know that you can do this with little to no fear. The Hypnobirthing Course exceeded my expectation. The information learned was so practical and empowering, it completely changed my perspective on childbirth in a positive way. "I thought hypnobirthing would be really 'hippy-like' but actually everything we learnt makes sense and is not hippy at all. I feel like this is something that I will definitely use in my upcoming birth. Overall it was a very positive experience." "I would definitely recommend a hypnobirthing course with Christine. It has helped me prepare for a stress-free labour." "I feel more confident and able to make informed decisions for birth. I feel that I have a plan in place, but open to adapting if things change. Positive messages are a refreshing change from many negative comments/stories that surround birth. I like the interactive nature of the course and friendly style." "I have thoroughly enjoyed every session. I feel much more knowledgeable and confident that I can do this! Relax, relax, relax!" "The hypnobirthing course gives you the confidence and tools you need for your birth experience." "Christine is an excellent teacher. She is very thorough and answered all our questions in depth. She also checked we understood before moving on. Thank you so much." "I found Christine to be very friendly, personable, knowledgeable and punctual. As well as giving me an overview of the options open to me, she was also able to impart other valuable nuggets of information about mother and baby activities in the local area." "Hypnobirthing has helped me understand the process of birth in great depth. I feel more confident about dealing with the process in a relaxed and calmer manner." "Very informative and friendly course. It has opened my eyes to what to expect. I would definitely recommend it." 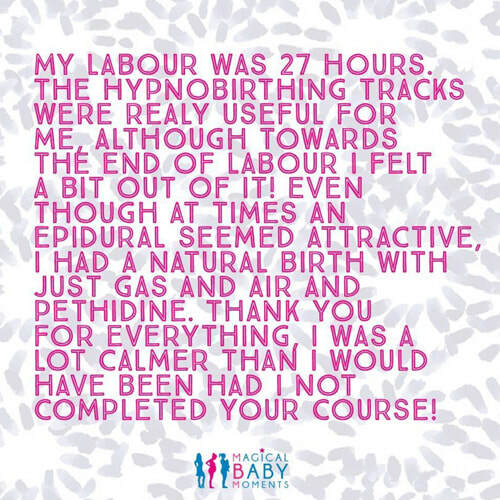 "The course gives a very unbiased view on birth with hypnobirthing and provides enough knowledge, which gives me confidence about being a good birth partner." "Great course! Well run. Fantastic information that really helped me and my wife look forward to the birthing stage." 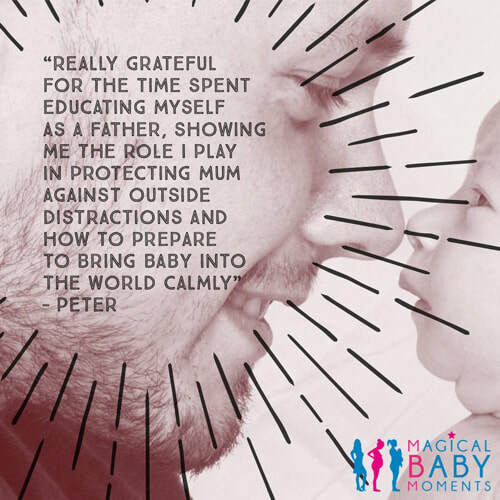 "I would highly recommend the course for expectant parent who are either apprehensive about birth or would like a more relaxed/enjoyable experience." Images on this page, created by Channel Roar.